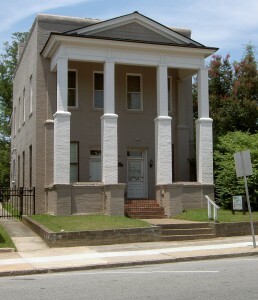 The Tar River Land Conservancy office is located in downtown Louisburg at 123 N. Main Street. 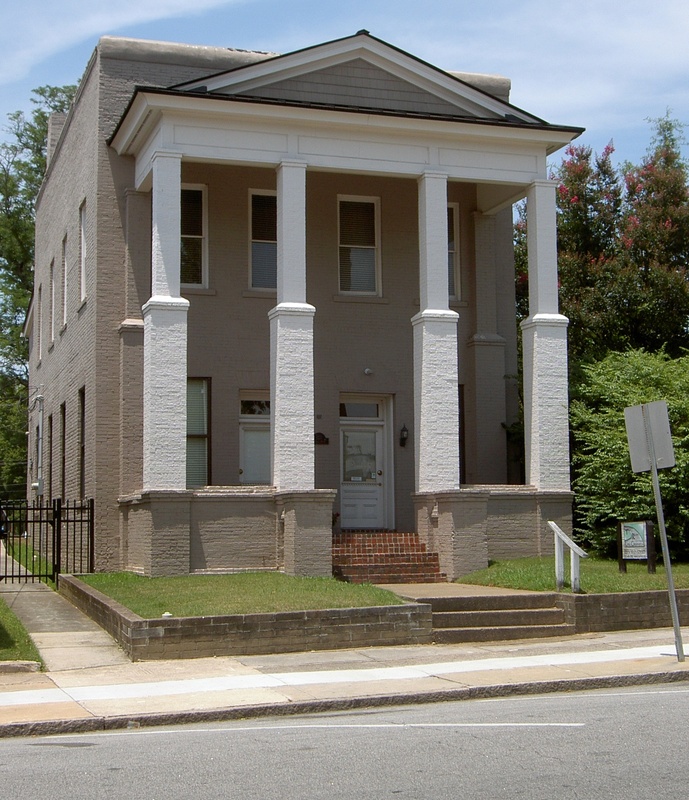 Our two-story brick building is located next door to the U.S. Post Office. Look for the TRLC sign in the yard. We are located on the first floor. Public parking spaces are usually available on Main Street in front the TRLC building. From I-440, take Capital Blvd (US-1/US-401) north approximately 3 miles. Bear right onto Louisburg Road (US-401). Continue on US-401 for 23.7 miles. Turn left onto NC-56 upon arriving in Louisburg. Immediately turn right onto S. Main Street. Drive 1.4 miles on Main Street (which turns from S. Main Street to N. Main Street once you cross Nash Street). Look for 123 N. Main Street on the left. Take I-85 north from Durham. Take Exit 191 for NC-56 for Creedmoor and Louisburg. Turn right and travel 25.1 miles on NC-56. Turn left onto S. Main Street upon arriving in Louisburg. Drive 1.4 miles on Main Street (which turns from S. Main Street to N. Main Street once you cross Nash Street). Look for 123 N. Main Street on the left. Follow US-64 west out of Rocky Mount towards Raleigh. Take Exit 459 for NC-58 for Nashville and Castalia. Turn right onto NC-58. Drive 10.4 miles and then turn left onto NC-56 just north of Castalia. Continue on NC-56 for 13.6 miles to the intersection with US-401. Continue straight through the traffic light (onto E. Nash Street). Drive 0.3 miles and turn right onto N. Main Street. Drive 100 yards and look for 123 N. Main Street on the left. From US-1, take NC-39 (E. Andrews Ave.) south for 16.2 miles. Bear right onto N. Main Street. Drive 1.3 miles and look for 123 N. Main Street on the right. From downtown Warrenton, take US-401 south for 18.4 miles to a stop sign at the intersection of US-401 and NC-39. Turn left onto US-401/NC-39 south and drive 4.1 miles. Bear right onto N. Main Street. Drive 1.3 miles and look for 123 N. Main Street on the right.